Our range of services include the following but are not limited to the below. 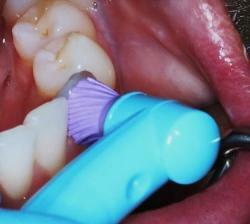 Dental exam for new borns for tongue tie, neonantal teeth. Laughing Gas options for fillings cavities and extractions. Sedation Dentistry and hospital dentistry. Habit appliances, Mouth guards, Sealants, Braces, Spacers. We offer exams from age 0 thro 15. Exams are basically examining the mouth, the teeth, the tissues around the teeth. An exam can be comprehensive or limited based on the need. An emergency exam is a limited exam, just to determine the problem. An exam during a cleaning is considered a comprehensive exam. 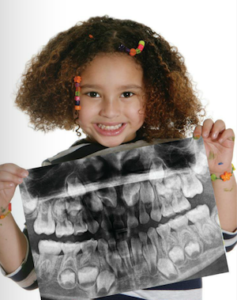 Radiographs are valuable aids in the oral health care of infants, children, adolescents, and individuals with special health care needs. They are used to diagnose and monitor cavities, evaluate dentoalveolar trauma, as well as monitor dentofacial development and the progress of treatment. Radiographs should be taken only when there is an expectation that the diagnostic yield will affect patient care. We attempt to x-rays on a patient typically around age 4 when they tend to be more co-operative for x-rays. The purpose of doing x-rays is it should yield a diagnostic result and not take x-rays for the sake of doing x-rays. First visit to the dentist is at age 1 or when the first teeth come in. Cleaning for kids under 3 are usually done with a regular tooth brush (aka toothbrush prophylaxis) and fluoride is applied. When kids are 4 and older when they are much more co-operative then we do x-rays and a rubber cup cleaning which spins like a spin brush and we use the coarse toothpaste to clean all teeth. Then a fluoride application is done. Fluoride is a naturally occuring element in nature. Fluoride is naturally present at low concentration in most fresh and saltwater sources and may also be present in rainwater. Drinking water fluoridation at a level between 0.7-1.2 mg/L is widely practiced in the United States to prevent cavities on teeth. 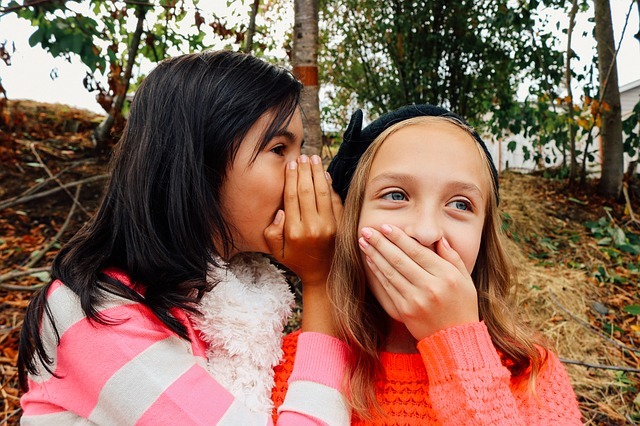 Fluoride prevents cavities on teeth when consumed in drinking water at 1PPM or topical application at the dentist’s office or by using toothpaste and mouth rinses. Fluoride is also added to other consumed food.